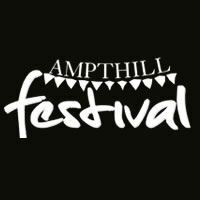 Ampthill Festival and Charles Wells present AmpRocks which started life in 2010. Amprocks is the opening night of the annual Amphill Festival which is held in an amphitheatre in Ampthill Park which is about 45 minutes north of London. Amprocks is a unique, non-profit, boutique festival which is organised by volunteers from the local community. The festival is unsuitable for children under 12 and anyone between the age of 12 and 16 needs to be accompanied by a responsible adult over 18.